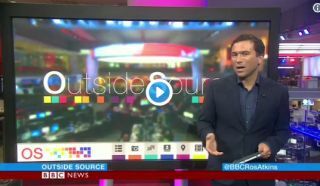 The video below captures the brilliant moment the BBC newsroom erupted as England claimed their first ever World Cup penalty shoot-out victory. The Three Lions secured a nervy win over Colombia last night to reach the World Cup quarter-finals, setting up a tie with Sweden for this Saturday. While many of you will no doubt have enjoyed the chance to watch the game at home or the pub, spare a thought for those who had to work while it was on! Still, that didn’t stop this BBC team celebrating in the newsroom, in a video that sums up brilliantly how last night’s result captured the hearts of the nation.